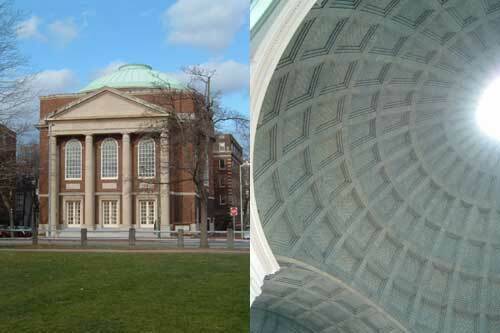 My research in curved masonry surfaces began with my semester project for 4.448: Analysis of Historical Structures, a MIT course taught by my graduate thesis advisor, Professor John Ochsendorf. 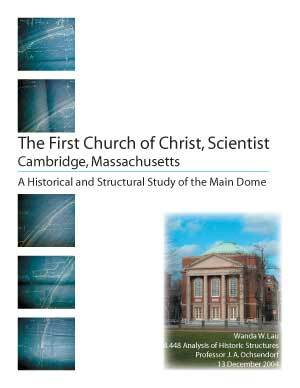 I researched the historical background and analyzed the main masonry dome of the First Church of Christ, Scientist in Cambridge, Massachusetts. The dome was designed by Rafael Guastavino, Jr.